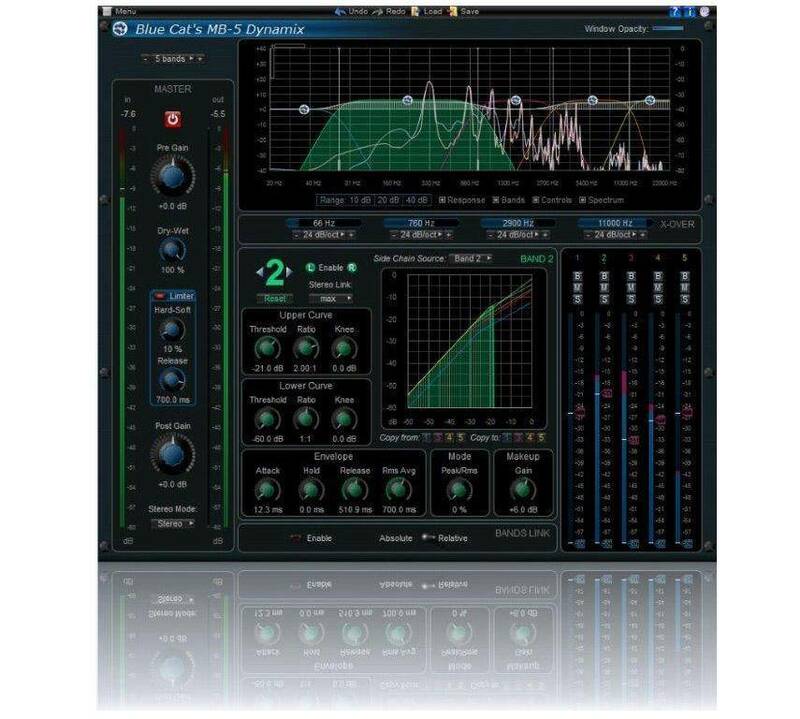 • Full featured multiband dynamics processor: compressor, gate, limiter, expander, waveshaper. • Up to 5 bands, with crossover filters from 6 to 60 dB/Oct for optimal separation. • Unique envelope routing capability for cross-band dynamics effects (one band may trigger another). • Dry/wet control for parallel processing ("New York Compression"). • Stereo or mid-side processing with multiple channels linking options. • Post brickwall limiter or waveshaper. • Complete Visual feedback with real time response curves and levels display. • Easy copy/paste settings between bands. • Side chaining made easy: a unique way to perform multi-band side chain compression, ducking, gating and much more. • Plug-in window transparency management.